American Diner flush ceiling light in an antique brass finish. The light fits straight onto the ceiling and has a brass outer ring with a clear ribbed glass shade. 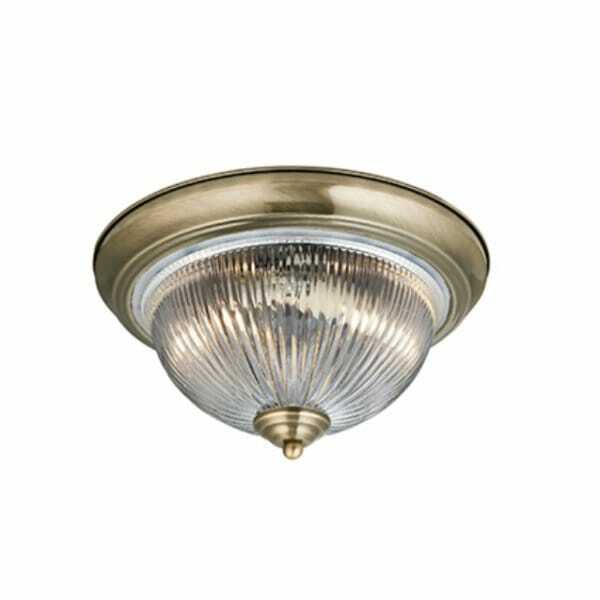 A popular choice of light fitting for cottages with lower ceilings and Victorian hallways. There are also some fabulous co-ordinating lights in this range which are very well priced. This range is a good choice if you want to echo the style in open plan rooms or into other rooms in the house. This light is also IP44 rated making it safe for use in a bathroom.